IN AN EFFORT to quell the damage over his unfortunate “47-percent” comments, Republican presidential candidate Mitt Romney overhauled his campaign’s ad strategy today, pulling all of his existing media placements in favour of a new ad that makes a straightforward appeal to voters. But Democrats aren’t letting Romney get off so easily. Just hours after the new Romney ad launched, the Democratic National Committee released their own video response. The ad, titled Those People, uses Romney’s own commercial to slam the Republican candidate as out-of-touch with the American people. And the effect is pretty brutal. 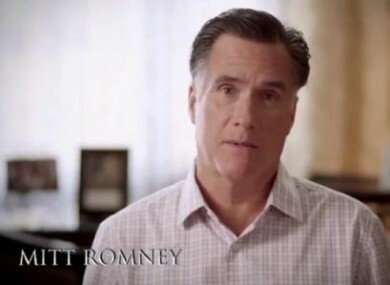 The original video is here – it’s Romney’s first direct-to-camera ad in the US 2012 race. Email “VIDEO: Democrats mash up Mitt Romney's new campaign ad”. Feedback on “VIDEO: Democrats mash up Mitt Romney's new campaign ad”.